I was going to make an intense looking Chinese dragon...but came across this cool pink paper and...voila! 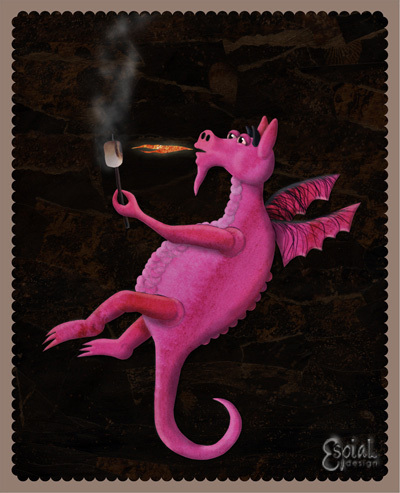 A floating pink dragon roasting marshmallows. I can never stay too serious! In the Pink Dragon's Lair is an all paper collage with digital effects. Charred marshmallow anyone? I knew there was a soft side to those dragons. Time to get the graham crackers and chocolate! I can always count on a dragon to toast my 'mallows. Wow that's very nice. Nice style. 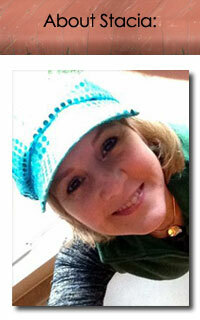 just getting started with this whole blog thing and illustration friday...glad to see people actually look at it! just checked out you website...very impressive! hee hee! I love this guy!! This is great! A dragon making his own s'mores? Wonderful. One of these days I'm going to try a character. The thought of it scares me. Deadly cute illo! Pink dragons are possibly the greatest marshmallow toasters in the world. The rocks in the background look like chocolate.. all we need are some giant gram crackers, yummm..
Gotta love a hot pink dragon kickin' back with his mushmallers. Oh, and, yes, I had a Smokey stuffed bear also. I think one of the dogs tore him up sometime in the mid-60s. this is so great! What a wonderful and charming piece!!! Remarkably gorgeous hot pink dragon! I like that you made the dragon pink. My manly self doesn't want to admit it but pink is a hot color and it is making it's way into my work more and more. Who would have guessed? Anyway, love your dragon. Does he do smores?